Handles: Detail of one of a pair of decorative Pegasi depicted beneath the handles of the plate. 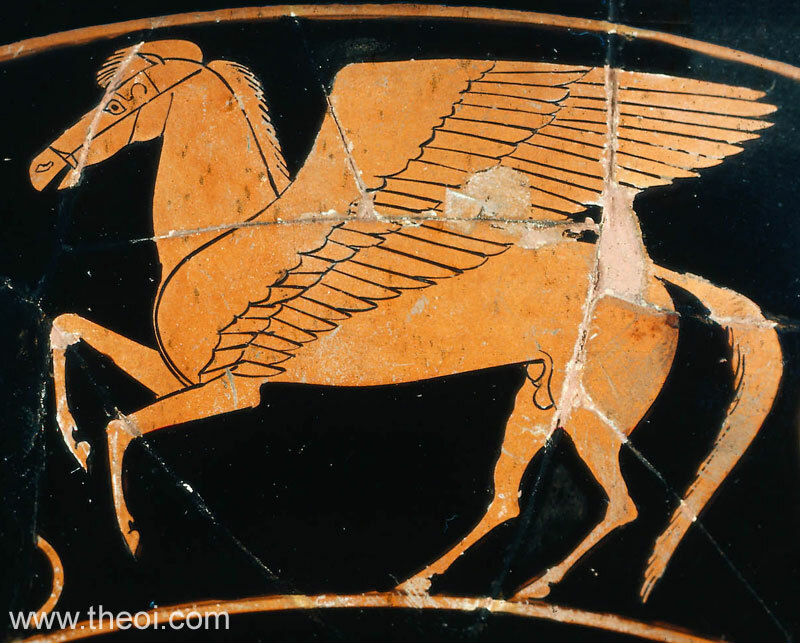 The wings of the flying horse are attached to its shoulders. Side A: Dionysus and a Satyr (not shown). Tondo: A decorative Sphinx (see other image).